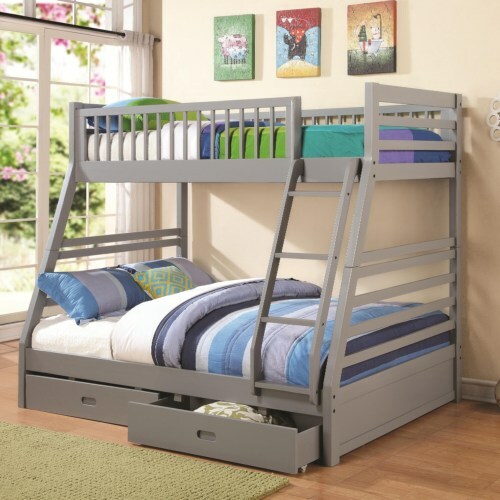 The space saving features, and functional character of this twin over full bunk bed will make a wonderful addition to any bedroom. Clean lines that contribute to a relaxed style, and finishes to accommodate color preference allow the occupants to customize their bedroom, while the built in guard rail and ladder add to safety and convenience. 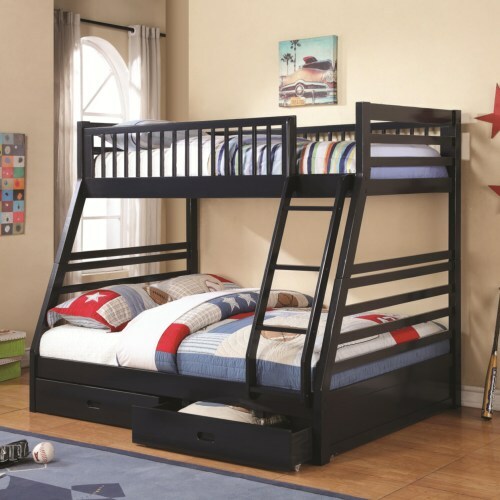 Two under-bed storage drawers, which are included in the price, provide room for extra linens or miscellaneous items.